Located in an old church in Brussels, Spirito mixes its traditional architectural heritage with contemporary design and technology. Spread across three floors, the venue has been created to answer a perceived gap in the market for a luxury venue that would attract high-end club goers and corporate clients. With that in mind, Spirito’s owners opted for a Funktion-One loudspeaker system from Soundsystem BVBA and a lighting installation from SLE Sound and Lighting Engineering that adds colour and movement to the dramatic surroundings. 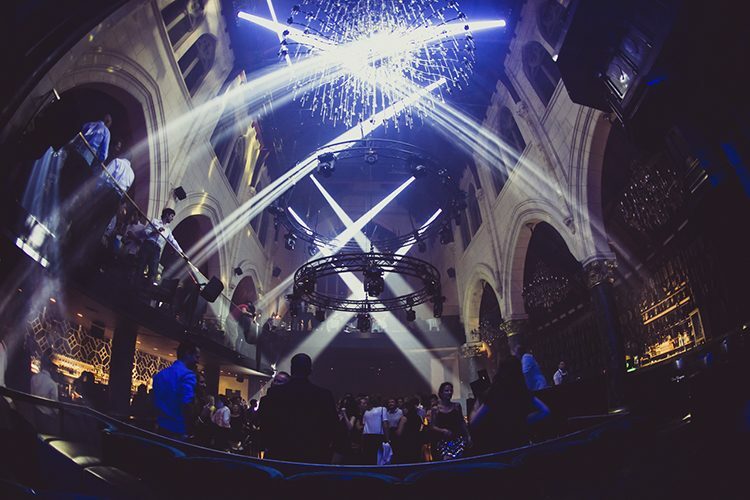 The entrance takes guests right into the heart of the venue, on the ground floor, which houses the main dancefloor and DJ booth, VIP areas, bar and cloakroom. It is sandwiched by a restaurant on the floor above and bathrooms in the basement below. Funktion-One loudspeakers feature throughout. 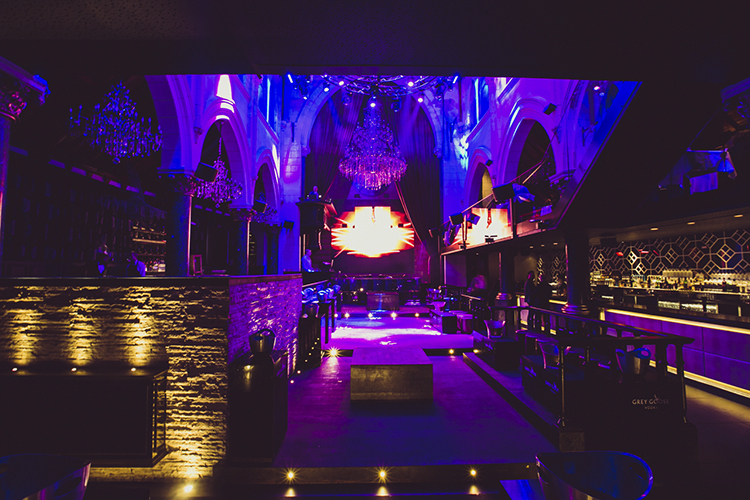 Spirito’s dancefloor is home to eight Funktion-One F88 loudspeakers and two BR218 double 18-inch bass reflex enclosures. Four F101s have been installed at the front and the back of the dancefloor, and six F55s deployed under the balcony at the main bar. A further four F101s and a BR115 bass unit service the VIP area. Soundsystem BVBA designed a DJ monitoring system, comprising two F81s and a Minibass 112. 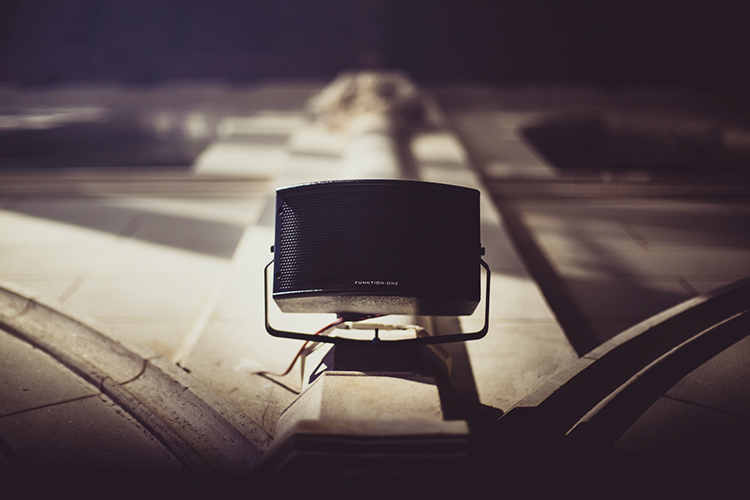 Soundsystem BVBA has designed an XTA control system that is user-friendly and as autonomous as possible, combined with three XTA DP548s and an XTA DC1048. A selection of MC2 Audio amplifiers are also in place to power the system. SLE Sound and Lighting Engineering’s lighting design focuses on respecting the building’s architecture, again with a discreet installation, while accentuating its historic features. The company supplied a variety of fixtures from manufacturers including Showtec, Briteq, Magic FX and MDG. Control for the system is handled by a Martin Professional M1 console and an ArKaos Stage Server media server. The way Spirito’s traditional architecture has been merged with the latest technologies is quite remarkable. The result is a luxury nighttime experience unlike like any other in Belgium. Brussels is an important city for international travellers and this is very much reflected in the range of nationalities pass through Spirito’s doors. Though the technical infrastructure is complex, its operation is not, which means normal members of staff can easily control the zoned audio thanks to a custom-made control panel. The venue can change its feel for different applications, without changing or replacing any speakers or lights. In every situation the visitors enjoy a natural and discrete atmosphere where the sound and visuals are perfect, whether the function is bar, restaurant, club, fashion show, presentations, seminars and product launches.